These were originally created with s’mores in mind, because….SMORES! I am working on a paleo marshmallow recipe that will knock your socks off. But before that, let me tell you about one of my favorite treats. 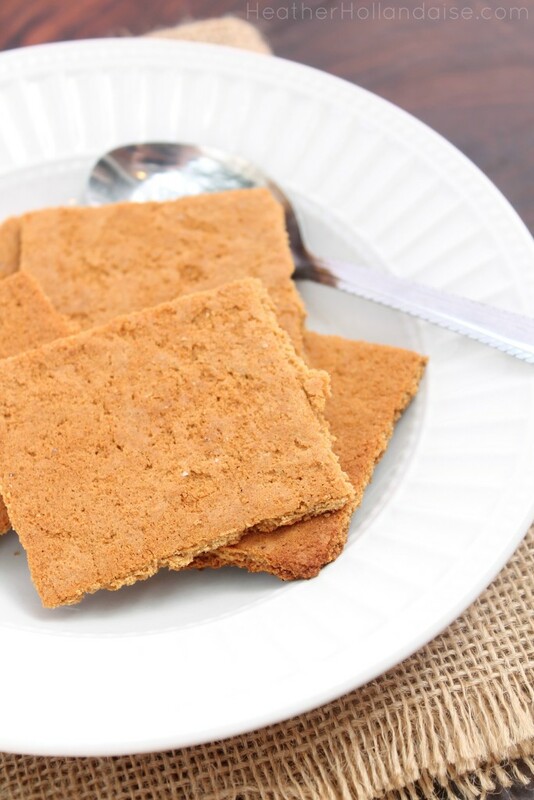 When I was a little girl, my Daddy used to make me a plate of graham crackers and hot milk. 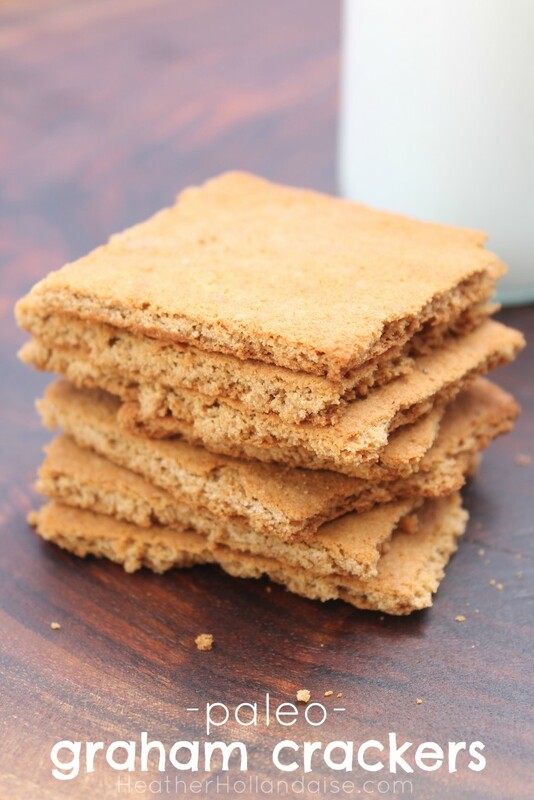 He would arrange the crackers onto a plate and cook the milk on the stove until it was piping hot. Then he would pour just the right amount over the crackers so that every little bit was absorbed. There would be just a slight amount of crunch left around the edges, and every bite was heaven. It was always a treat that I looked forward to, and a special memory that I share with my Dad. 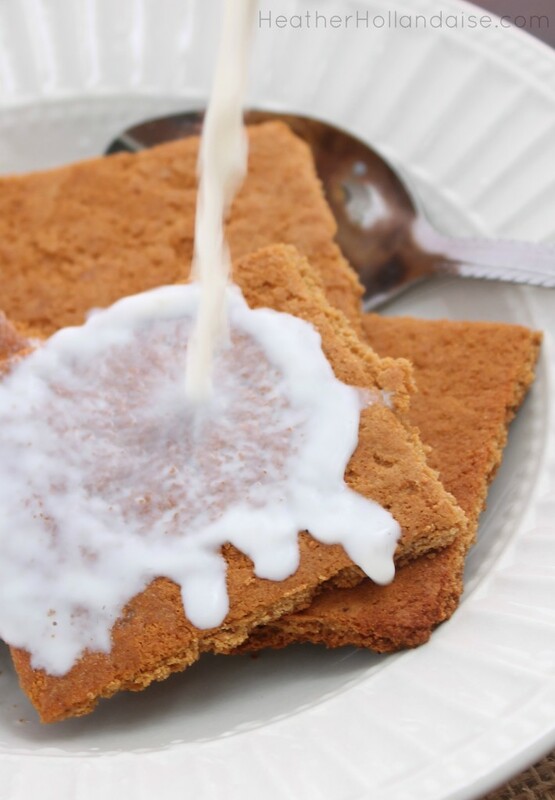 I grew up longing for a midnight snack of graham crackers and milk. Every now and then I indulge, but my tummy is left unhappy with me. I have made them for my daughter a few times, but I know they are just so full of processed junk. Now I can happily share this memory with my own kids and leave the guilt factor behind. And actually, making them together makes it even more special. In a stand mixer or food processor, combine dry ingredients. Add coconut oil and mix until combined. Add honey, milk, and vanilla and mix until a ball is formed. Place one ball of dough between two sheets of parchment and onto a baking sheet. Roll out to about ⅛ in thickness. Using a pizza cutter, cut into squares. Pierce each square with a few holes. Bake 15-20 minutes until edges turn golden brown. Allow to cool completely before breaking apart.